What is a wood lathe used for? How much does a wood lathe cost? Wood lathe is a kind of wood machine that can turn wood into different shapes. 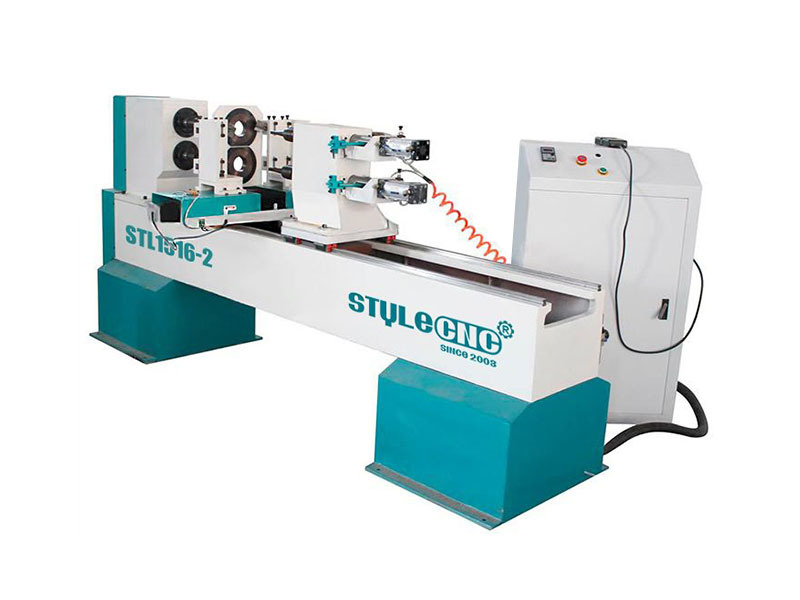 We usually know two kinds of wood lathes, which include wood lathe with hand-held tools and wood lathe with CNC(Computer Number Control). 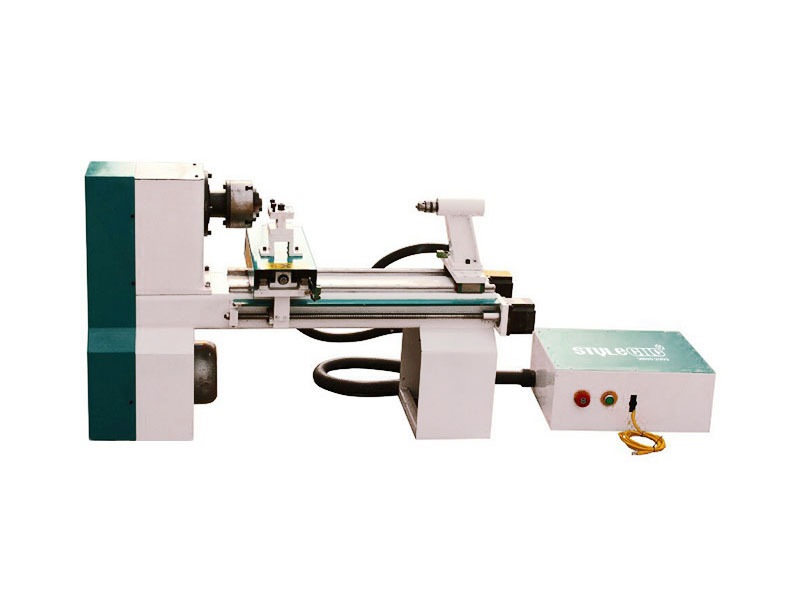 Wood lathes are typically used to shape wood into cylindrical profiles. Objects made by a wood lathe include lamp posts, furniture legs, baseball bats, wood columns, bowls, vases, wood crafts and other ornamental forms. Wood lathe tooling includes securing and fixturing devices for the workpiece, a moveable tool rest, and hand-held lathe tools in the form of long handled scrapers, gouges, skews and parting tools. Some specialty toolings are also available for surface processing and internal shaping. Although wood lathes can take many forms depending on the primary turning operation, those on campus include the driven or rotating headstock, lathe bed, tailstock for longer objects, and an adjustable tool rest. You may call wood lathe as wood lathe machine, wood turning machine, wood turning lathe. Top 10 best wood lathes for sale with affordable wood lathe price, free wood lathe service and support in the world. Small wood lathe machine is designed for small woodturning works of barrel, Bead, buddha heads, hoist pieces, gourd pendant, wood cup, whip, bowl, cigarette holder, eggs, scroll painting head, pens, ashtray and wine stoppers. Small wood lathe machine is applied in small business, small shop, home business, home shop for wood beads, wood barrels, wood gourd pendants, wood cups, wood bowls, wood egg, wood ball, etc. 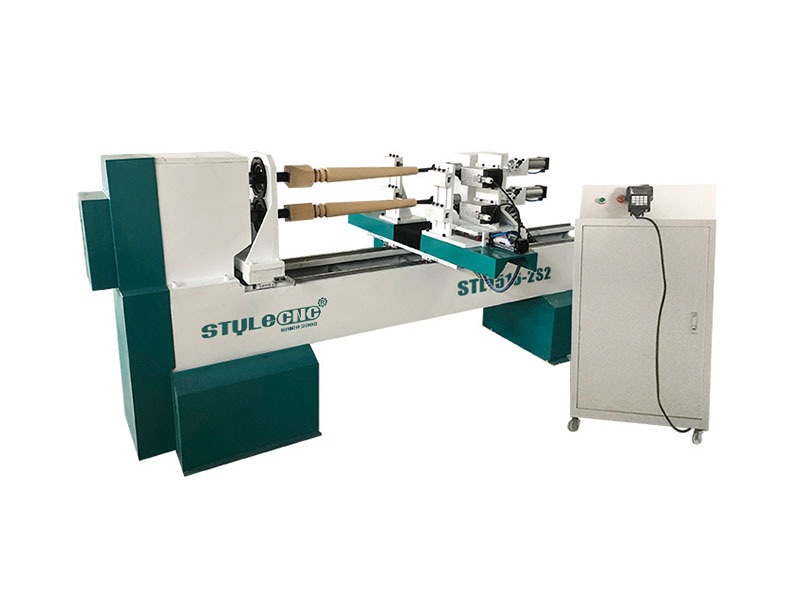 Single axis wood lathe is suitable for various tubular sharp, bowl sharp, cylindrical workpiece and vehicle wood crafts, such as various general column, staircase column, children' s bed column, table legs, washstand, roman column, wood vases, wood bowls and cups, baseball bats, etc. 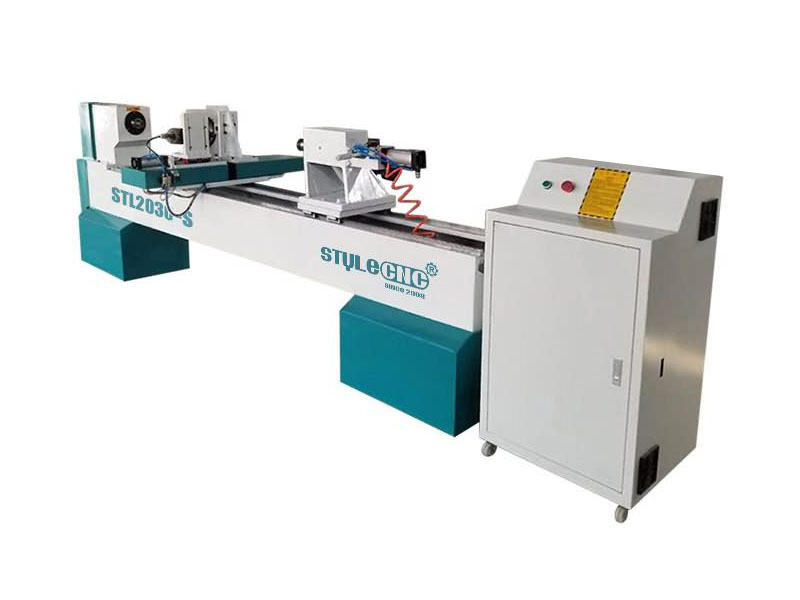 Automatic wood lathe machine is equipped with single spindle and double cutters, which is a full automatic woodturning machine for craftsman, small business or industrial production. 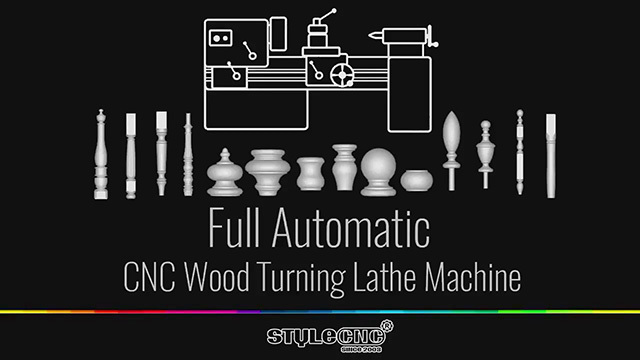 Affordable wood lathe machine is used for turning complex shape of rotary, such as roman colums, staircase column, cylindrical, curved, conical, spherical, etc. Now the affordable wood lathe machine for sale with best price. 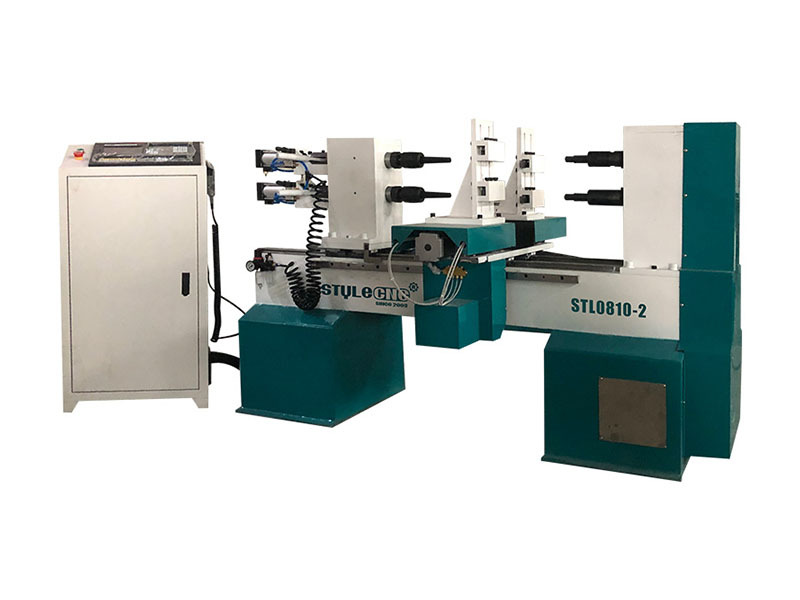 Double axis wood lathe has two axis for turning two workpieces at the same time, which is mainly used for cylindrical woodworking, tubular sharp and vehicle woodcrafts such as baseball bats, pillar, roman columns, table legs, etc. 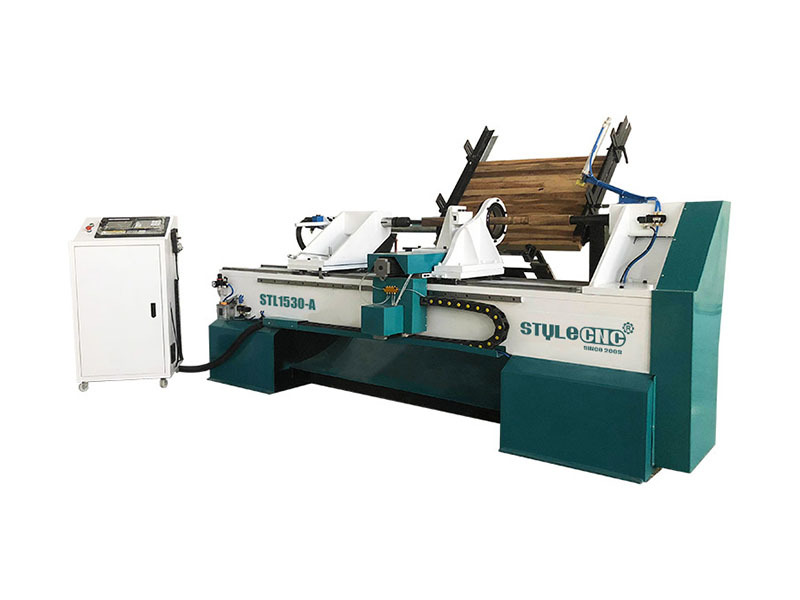 Best wood lathe machine has double axis and four cutters at the two sides of the wood lathe machine, which can work together to improve the woodturning efficiency greatly. 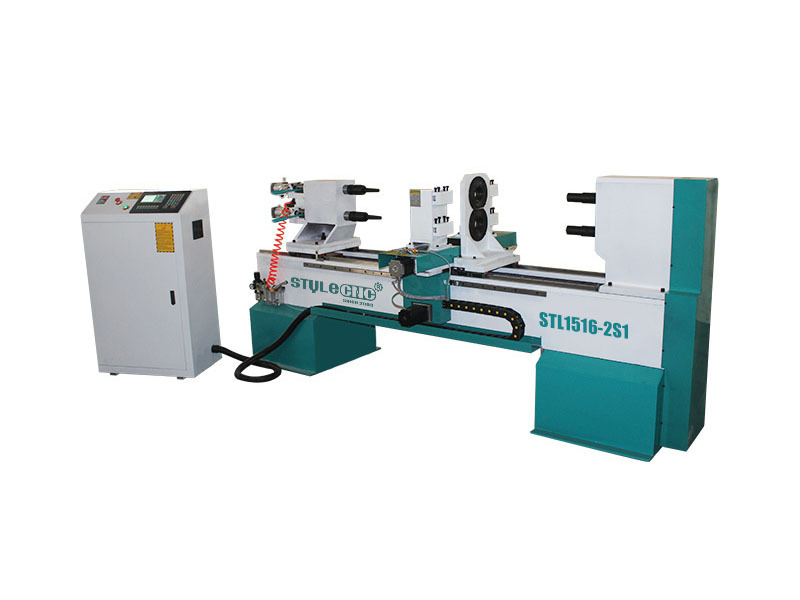 CNC wood lathe machine is equipped with DSP controller and double axis, two spindles for automatic twisting, grooving, slotting, turning, carving, cutting. 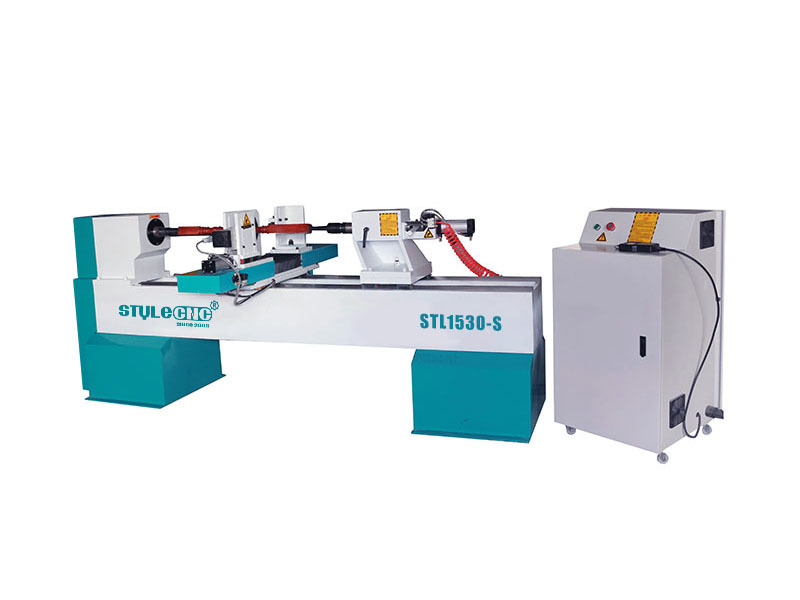 3 axis wood lathe can turn three wood columns with maximum 1500mm length and 120mm diameter at the same time. 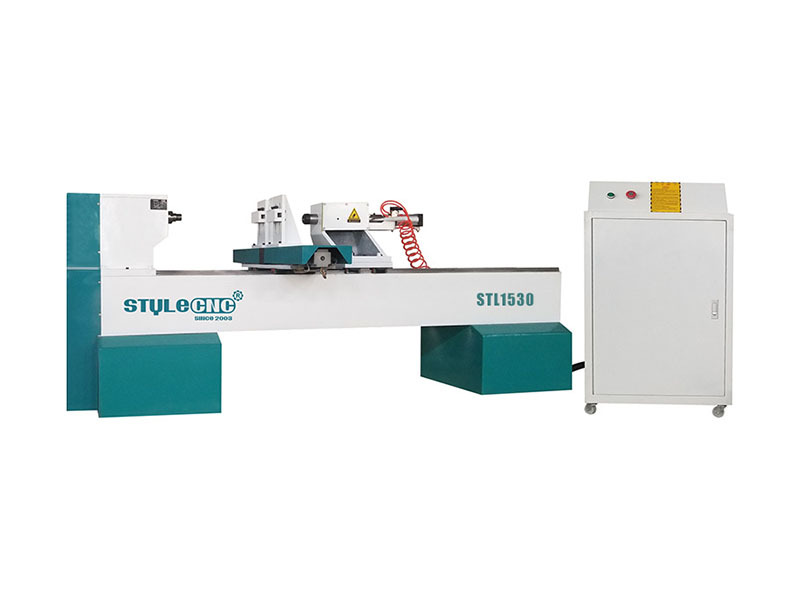 The 3 axis wood lathe machine turning length can be customized to 3000mm, 2500mm or 2000mm. 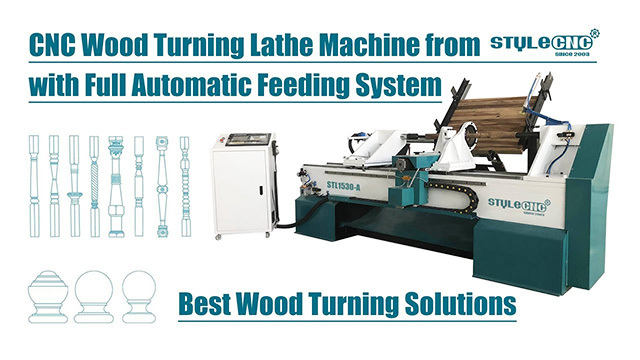 Automatic Feeding Wood Lathe is used for mass production with same turning designs, the wood lathe machine can automatic loading raw timber, automatic centering, automtic turning according to the CNC program to improve the working efficiency. Find most helpful best wood lathe videos for wood turning, twisting, grooving, slotting, carving and cutting. 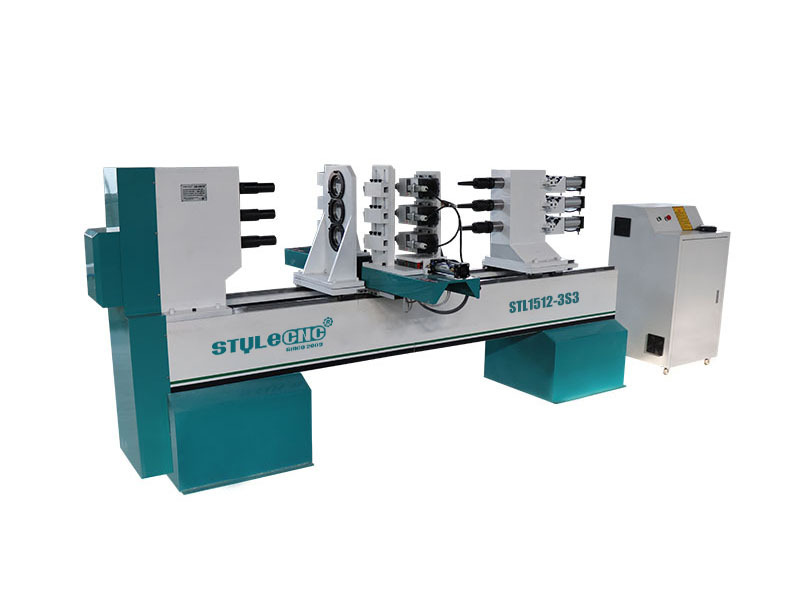 Wood lathe is a woodworking machine that rotates the workpiece on the axis to perform all operations such as turning, sanding, drilling, cutting, knurling, facing, carving. Wood lathe is widely used for turning various tubular sharp, bowl sharp, cylindrical workpieces and vehicle wood crafts, staircase columns, stairway newel posts, dining table legs, stairway balusters, end table legs, general columns, roman columns, sofa table legs, washstand, wood vases, baseball bats, bar stool legs, wooden table legs, car wood furnitures, sofa feet, lamp posts, chair arm posts, children' s bed column, bed rails, chair stretchers, etc. The wood lathe enjoys a special place among all wood machines. The wood lathe combines the art of hand tool work and the mechanical operation of a modern machine, and may be considered as a complete unit in itself on which a complete project may be made without the aid of other machines or tools. Other wood machines we have used have revolving knives or blades that pass over or through the work. The wood lathe works in reverse, the work is revolved and the chisels are held more or less stationary. The wood lathe is a machine which is easy to operate. 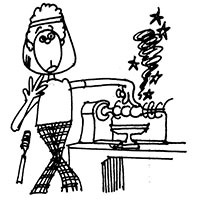 However, the ability to produce good turnings quickly and accurately requires considerable skill. This can be acquired only by a knowledge of the correct methods of turning and practice in the use of the wood lathe, because the tools are manipulated entirely by hand, a process which constitutes the art of woodturning. The wood lathe is often referred to as a speed lathe. This distinguishes it from a screw-cutting metal lathe. The principal parts of typical wood lathe are the bed, the headstock, the tailstock, and the tool rest. The bed is the main I Beamshaped cast iron base; the uppar surface is machined and is called the "ways". The headstock is the business end of the lathe which makes the wood revolve. It consists of a hollow spindle on which the pulley is attached at one end and the spur or live center at the other. The spur on most lathes is held to the hollow spindle which is internally ground to a morse taper by a friction fit because the shank of the spur is ground to an identical taper. The spur can easily be removed by inserting a wood lathe rod through the hollow shaft from the pulley end and tapping the spur. The tailstock is machined so that it slides along the ways and can be clamped at any desired spot. The dead center is mounted in the tailstock in the same manner as the live center is held in the headstock. The two centers are the same height from the bed and in line with each other. There are two types of dead center. The cup center is the one used on most modern lathes because it does not require a hole to be drilled to center the stock. The tool rest is an important part of the lathe. It consists of two parts: the base which can be slid along the bed, and the tool rest which fits into the base and may be raised or lowered. Different-sized tool rests may be fitted in a standard tool rest base. 1. "Spindle Turning" - Turning work between centers. 2. "Face Plate Turning" - Mounting and turning the work on a Hat metal face plate which is attached to the headstock in place of the spur center. A wood lathe is equipped with Headstock, Lathe Bed, Tailstock, Tool Rest, Spindle, Tailstock Quill. Wood Lathes with different configurations and specifications have different cost, wood lathes with different brands have different service and support, which will make the wood lathe costs are different, wood lathes from different countries have different tax rates, different customs, different shipping costs, all these factors will lead to different wood lathe prices, you will get a wood lathe price range of $1,500.00 to $8,680.00 from STYLECNC. We will recommend best wood lathe to you after getting your requirements, which should include the material you want to turn, and the max size of the material( Length * Thickness * Diameter). We will send you a free quotation with specifications, accessories, options and price according to your requirements. 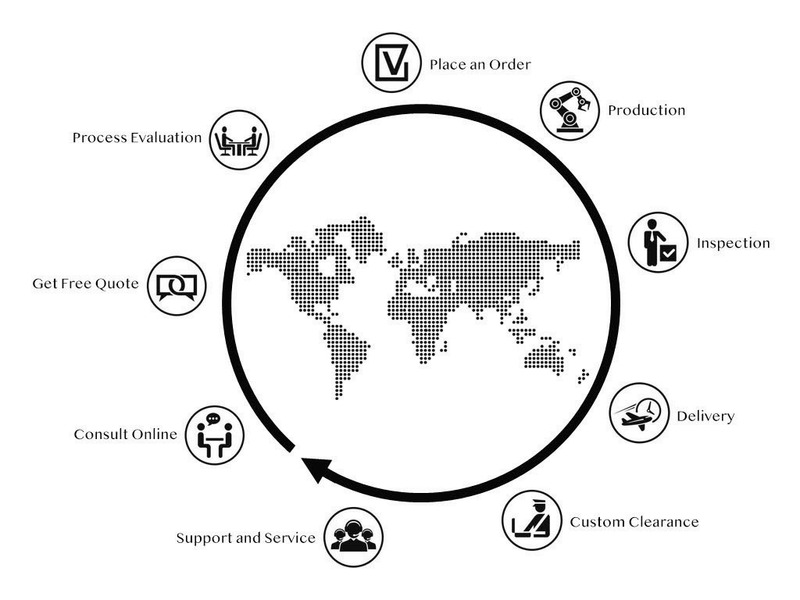 We will evaluate and discuss all the business details(business terms, configurations and options) of the order with you to exclude any misunderstanding. If you have no doubts, we will send the PI( Proforma Invoice) to you, and then we will sign a contract with you. We will arrange the wood lathe machine manufacturing after getting your contract and deposit . The latest information about your wood lathe production will be updated and informed to you during the production. The whole wood lathe machine production procedure will be under regular inspection and strict quality control. The whole wood lathe machine will be tested to ensure running well before being out of factory. We will arrange the shipping or air flight according to the terms we both agreed. We will offer all the necessary shipping or air flight documents to you and ensure a smooth customs clearance. 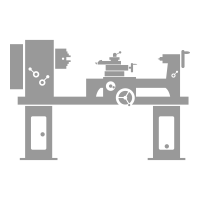 We will offer professional technical support and intime after-sale service by Email, Phone, WhatsApp, Skype, Online Live Chat, Remote Service around the clock. We also have door-to-door service in some areas.